Indulgence's all natural 3.5 oz. 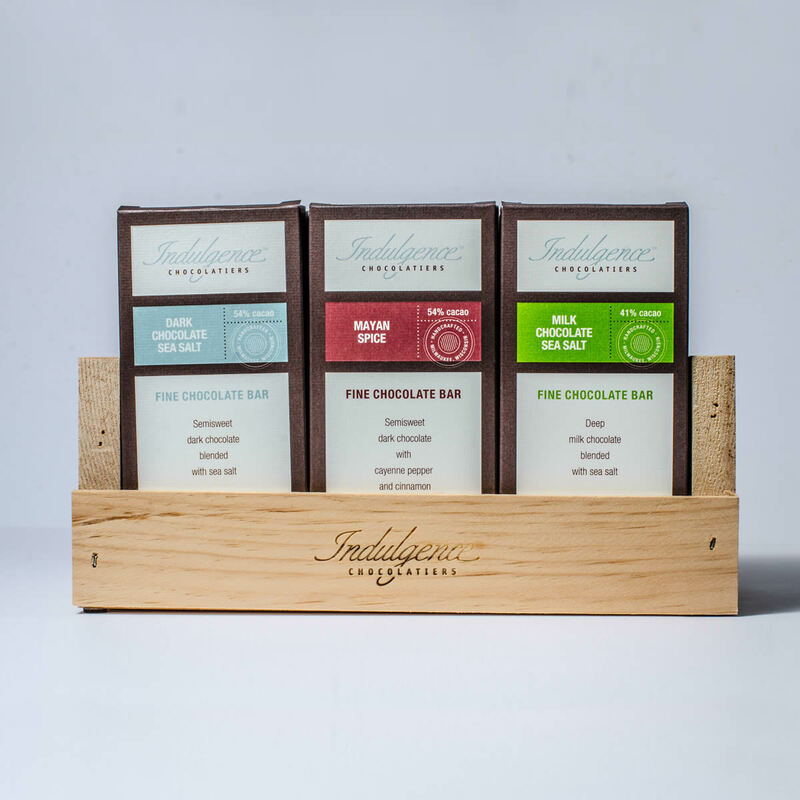 fine chocolate bars come in unique flavor combinations that will delight your palate. Eat one square a day, or devour the whole bar in one sitting… we won't tell.